Note: Apple reported this as fixed in version 3.1 and above. 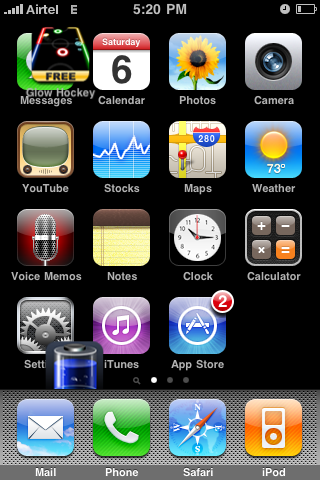 The screenshot above was taken with an iPhone OS 3.0 on a 2G device. I was able to reproduce this issue. As soon as you end your outgoing call there will be an alert which displays call duration & cost. All you have to do is turn off the display (a physical button at the top right of the device) without tapping the dismiss button. 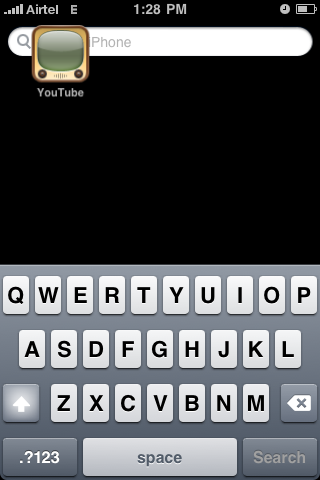 In my case, I always see YouTube app in the search page. And the first page will be empty (my first page full of default apps from Apple).